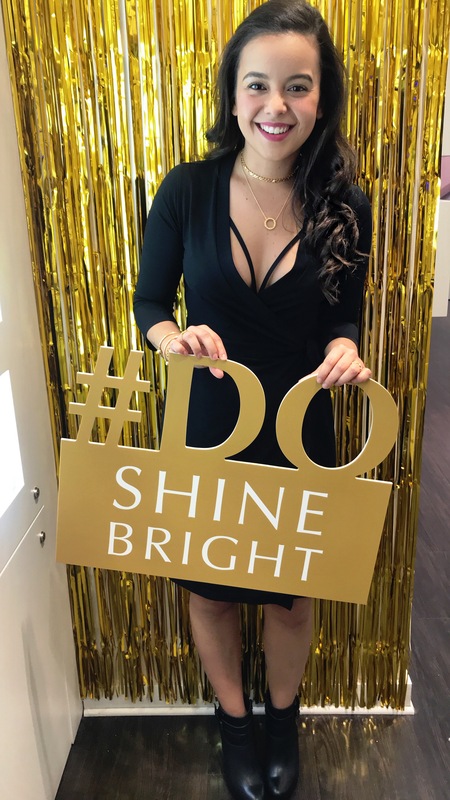 If you follow along on Instagram, you probably saw I got to visit the Pandora store in Water Tower Place here in Chicago, to check out their NEW Shine Collection. I had a great time and I feel so lucky I got to check out all the beautiful pieces available. 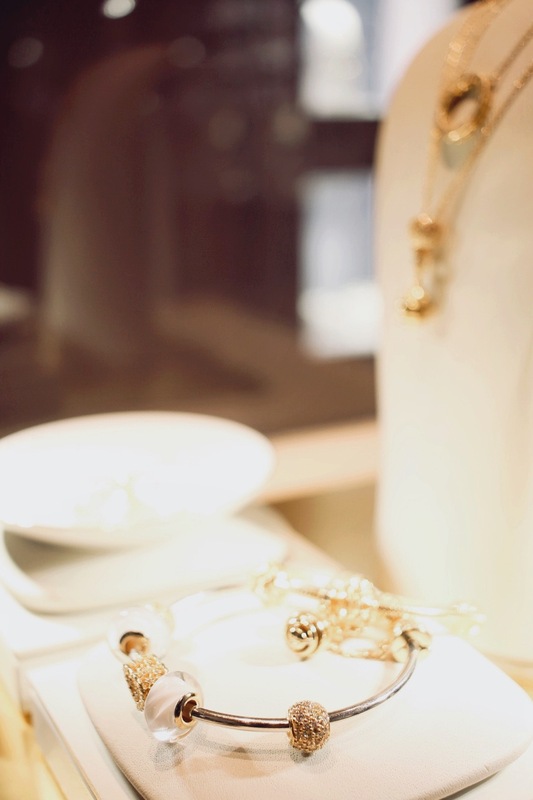 All the pieces from The PANDORA Shine collection are made of 18k Gold plated on sterling silver. It really stands out from the rest with its luxurious yellow gold color. I love anything gold and it’s seriously hard to do this collection justice in photos, but I did my best. Do you guys love it or what? Every piece is so unique and beautiful and I literally cannot decide which one is my favorite. I can honestly say that I love EVERYTHING from the SHINE Collection! I took a few things home to show you how you can style them. This is Ways of Style after all right? I just want to show you how you can wear these beautiful pieces all the time with pretty much anything and how they instantly upgrade any outfit. The inspiration behind the design of some of the pieces are hearts, bees, honeycombs and are designed to make you stand out and shine bright! I think they did a pretty good job at it. I create this simple black and white look to show you how you can wear jewelry like this to work and still look chic and professional. Would you wear it for the office? One of my favorite things about this pendant necklace is that it’s reversible. One side is gold and has the word ‘Pandora’ engraved and the other side has sparkling cubic zirconia stones, which makes it so versatile and easy to style for many different occasions. I created a denim over denim look for my babes who like to dress casual but still add a chic touch to any outfit. This one is by far my favorite because this is how I actually dress almost everyday and now, thanks to Pandora SHINE, I’m able to upgrade any casual look just by adding these beautiful accessories. Hope you guys feel inspired to recreate some of these looks and add a little extra shine to your lives! Thank you so much Pandora for sponsoring this post. All opinions are of course my own. Have the best week ahead!! Make it count and make sure you move one step closer to your dreams ok? No matter how far they seem to be… I promise it will all be worth it sooner that you think. Love you guys! Thank you so much for stopping by. Don’t forget to give some love in the comments below. I went to the launch party in Hong Kong, It was so fun!!! 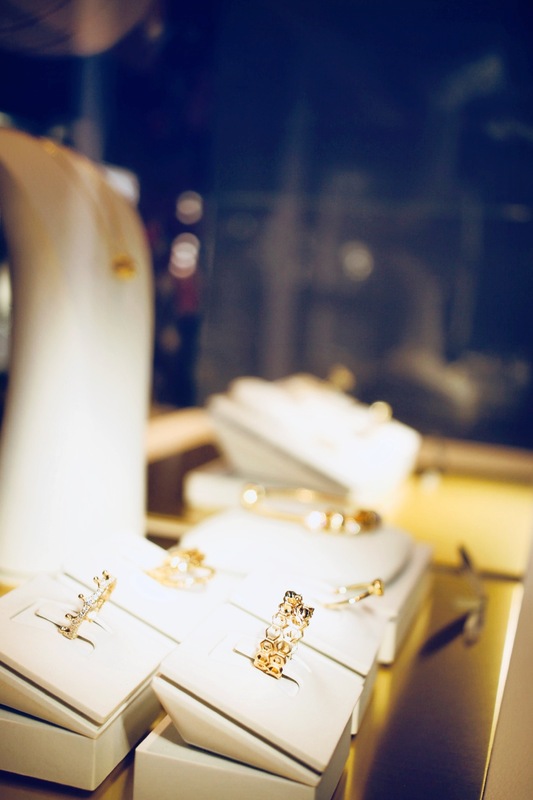 Pandora’s new gold and silver collections are so pretty. I got myself a set of 18k gold necklace and bracelet! So pretty!!! So fun Jessie! i saw some of that on IG! So cool you were there!! 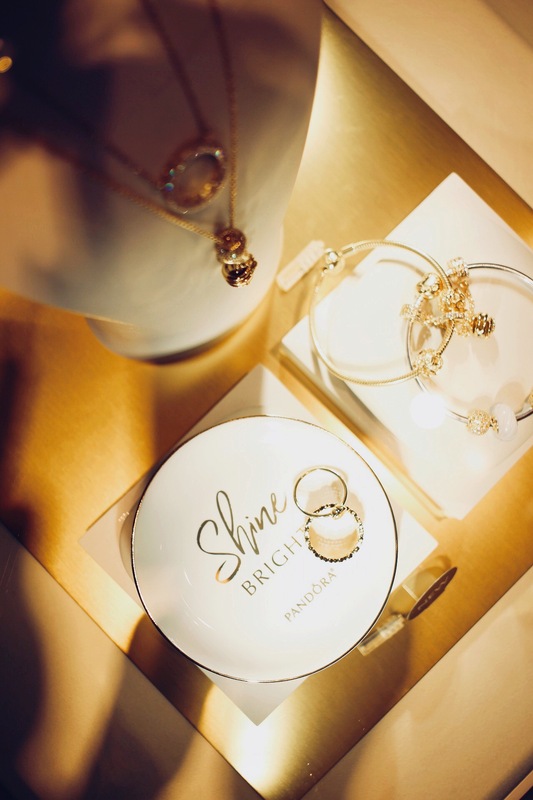 I am a huge fan of Pandora and their dainty pieces and I am quite disgusted at myself for not checking out their most recent Shine collection! 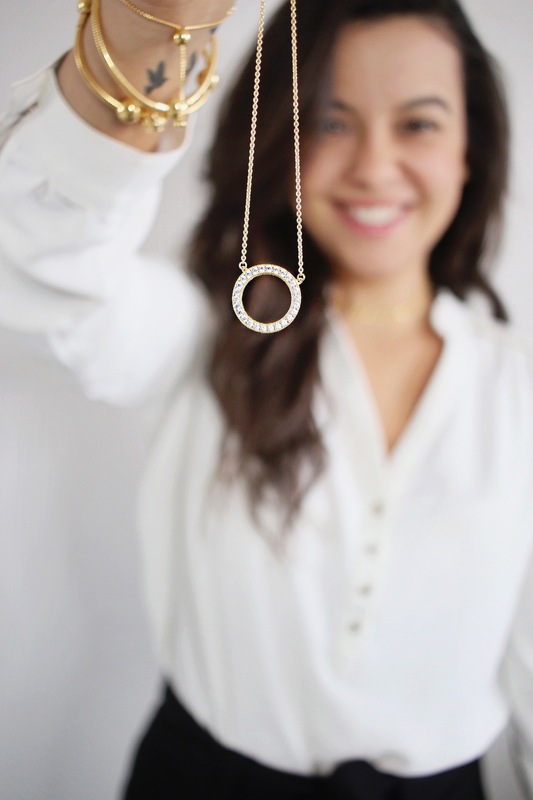 I have been a lover of gold jewelry for forever and these pieces are just to die for! Layering necklaces and bracelets are 2 of the things I love most about jewels and I love how easy these pieces are to do so. What a beautiful collection! Check them out when you have a chance. You’ll have a hard time choosing what to get because you will want EVERYTHING! I love that collection by Pandora! And I even visited the event – presentation of this collection in Russia! All things look so nice! 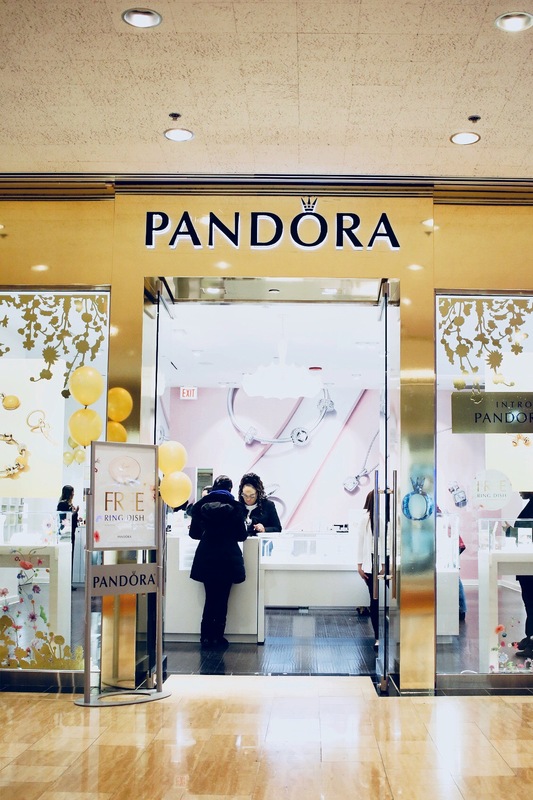 I have never visited the pandora store at WT place and now i need to make a trip! The collection is so beautiful and love how you style them for different occasions. I am eyeing on that gorgeous bracelet. gold is just a stunning color to go with so many outfits. You look absolutely gorgeous with these stunning pieces. Everything is just breathtaking! I literally want everything from their new collection! Make sure to stop by girl, they have the nicest staff too! I will have to check out the new Pandora shine collection, the pieces are so elegant and pretty, I really like the pendant necklace! So chic indeed! You will love everything I guarantee!! Wow this collection is so stunning, especially because I love all things Gold. I have always preferred wearing Gold accessories over Silver because it suits my skin tone. I really love how you’ve worn the different pieces together. I think I may have to visit a Pandora store this week to pick some of these pieces up because I can totally see myself them :). I love gold pieces too so much!!! You will for sure love their new collection girl! You are the cutest! Love all the pieces!! Please tell me you got to keep them! At least that gorgeous pendant necklace! Gold is your color babe! How come I didn’t know about a Pandora store being there? I will definitely stop by next time! Thanks for the info gorgeous. You look so beautiful and I’m obsessed with all the ways you styled these pieces. Thanks girl! Yes, def check it out! Try have the cutest things!!!! Que bella! Yo AMO Pandora!! You are shining for sure!! Beautiful and dainty pieces indeed! Love how positive you are always girl! This collection is beautiful. I love anything gold. Oh yay! Thanks sweet girl! Hope you get something cute! Tag me on IG so I can see what you got! !